Increasing funding for early learning scholarships is one of the big-ticket items in the House Early Childhood Finance and Policy Division’s omnibus education bill. 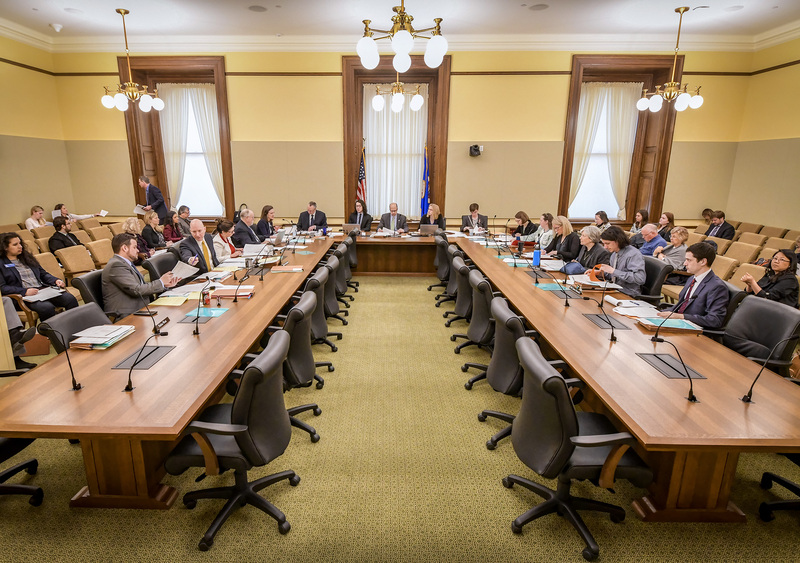 The division began hearings on HF2610, as amended, Tuesday morning with a walkthrough by nonpartisan House Research Department staff. Public testimony is scheduled Tuesday evening. Amendments are expected to be offered and action taken on the bill Thursday. The proposal, sponsored by Rep. Dave Pinto (DFL-St. Paul), the division chair, would increase funding for early learning scholarships by $12 million in the upcoming biennium, for a total appropriation of $153 million. Reflecting a recommendation of Gov. Tim Walz, the bill would also maintain 4,000 voluntary pre-K seats that are set to expire this year, with a $47 million appropriation in the 2020-21 biennium. A policy change would also make the seats permanent. $200,000 to the Metro Deaf Charter School. require the Education and Human Services departments to jointly submit a legislative report focused on enhancing coordination of the child care assistance programs and the early learning scholarship program.